As a child, Meer Logan was haunted by bizarre memories and faint strains of elusive music. Now a strange letter beckons her to Vienna, promising to unlock the mysteries of her past. With each step, she comes closer to remembering connections between a clandestine reincarnationist society, Beethoven's lost flute and journalist David Yalom. David knows loss firsthand--terrorism took his entire family. Now, beneath a concert hall in Vienna, he plots a violent wake-up call to illustrate the world's need for true security. 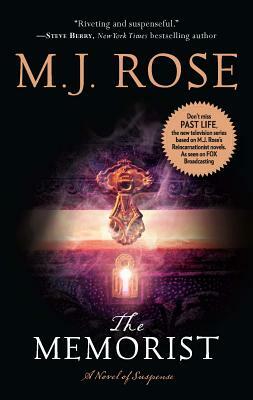 Join international bestselling author M. J. Rose in her unforgettable novel about a woman paralyzed by the past, a man robbed of his future and a secret centuries old.